In other words the Cat's Pajamas, the Bee's Knees and the whole nine yards rolled into one..!! With modern times moving forward and leaving the olden days behind us, it is now accepted to ask for monetary gifts. 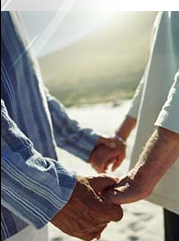 With a growing number of couples requesting money & vouchers instead of gifts, as most household items are already owned. Most people much prefer to choose their own style of items hence the reason for vouchers or money, as everybody's taste is different. It's often a worry for guests who don't quite know what to do with that expensive envelope they' re clutching all day and night as there is no longer the traditional big gift table set out at a wedding. Even if there is a small gift table, people tend not to feel at ease just leaving an envelope around. 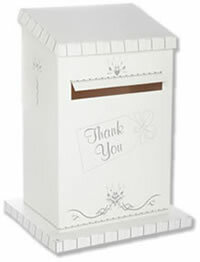 A lso its a very nice touch to have the special thank you message on the front of your post box showing appreciation for your gift. 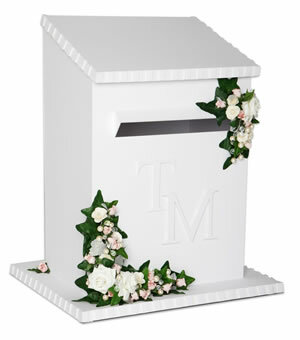 Because some of our products are personalised, our team of staff can advise and adapt a style and colour scheme to suit your needs, as everybody's style is different making each post box an individual unique product. 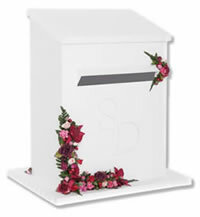 You can choose anything from doves to be placed on it, to colourful berries and fruits ; the choice is yours ! 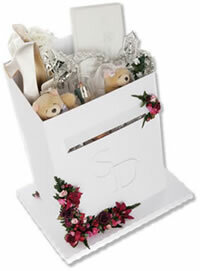 i.e.cards, shoes, tiara, place cards, invitation, video, champagne cork, horse shoes etc etc. These will stay protected for a lifetime in your precious Wedding Box that you can take out and look at in future years to come. 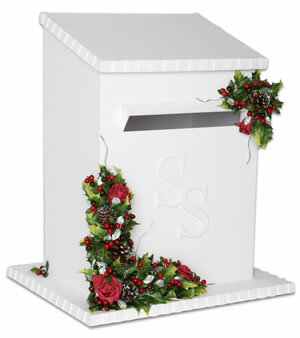 Make a big feature of your Post Box by having it on the table with the cake and bouquets. Throw away cameras also get lost or misplaced, they too can get posted into the post box to safe guard those irreplaceable photo's memories that can never be replaced.